As a member of a Branch or a Special Interest Group, you can use dedicated forums to communicate with others. 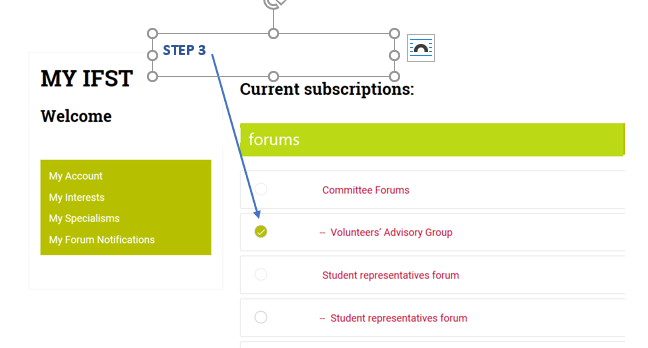 Please see the example below showing how to access a forum. Please note that you need to be logged in to the website to create a topic or post a comment. Click on the name of the Group or Branch for the relevant forum you wish to access, then ‘Add a new Forum topic’ or open an existing thread to read and submit comments.